Located east of Interstate 35, Port Grande is 10 miles from the Port of Laredo commercial border crossings where approximately 60% of all trade between US and Mexico occurs. Majestic Realty is constructing the 423,280-square-foot building 2 at Port Grande Logistics Port. LAREDO, TX—Laredo does more trade with Mexico than any other city does with any other country, says Majestic Realty Co. 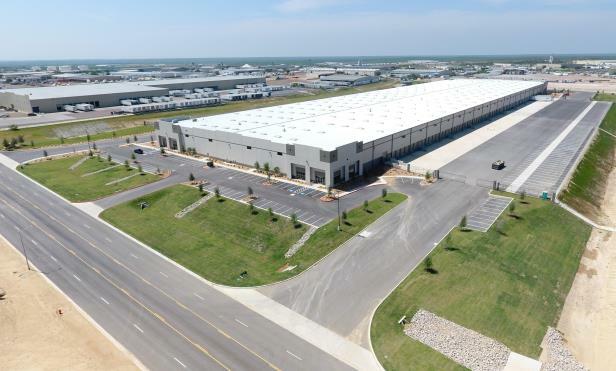 In response to the strong bilateral trade environment and demand from a growing list of companies including a 200,000-square-foot lease and full occupancy of its initial building, Majestic is constructing a 423,280-square-foot building 2 at Port Grande Logistics Port set for completion in fourth quarter 2019.